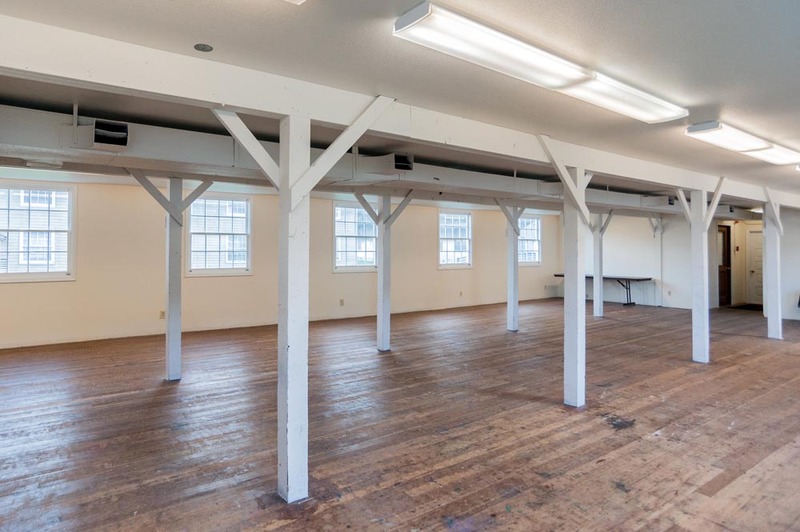 Company Quarters F is a former company barracks emptied to make room for additional meeting space. 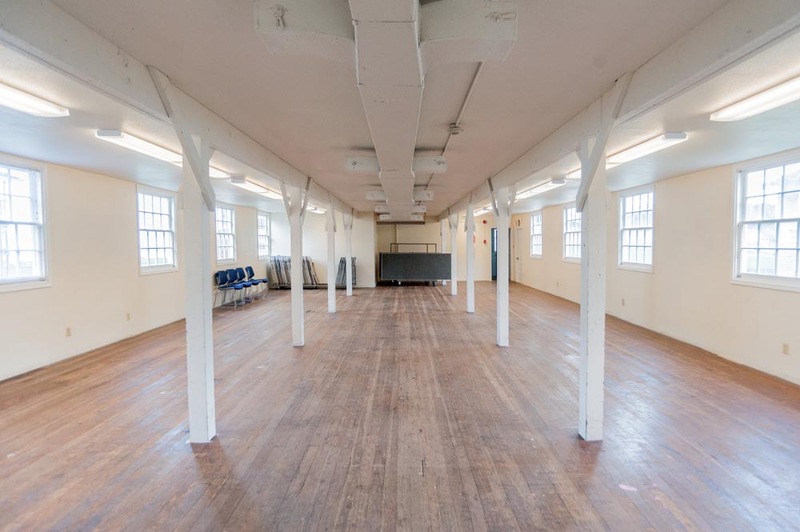 This space is recommended for crafts, indoor games or activities, or breakout space. 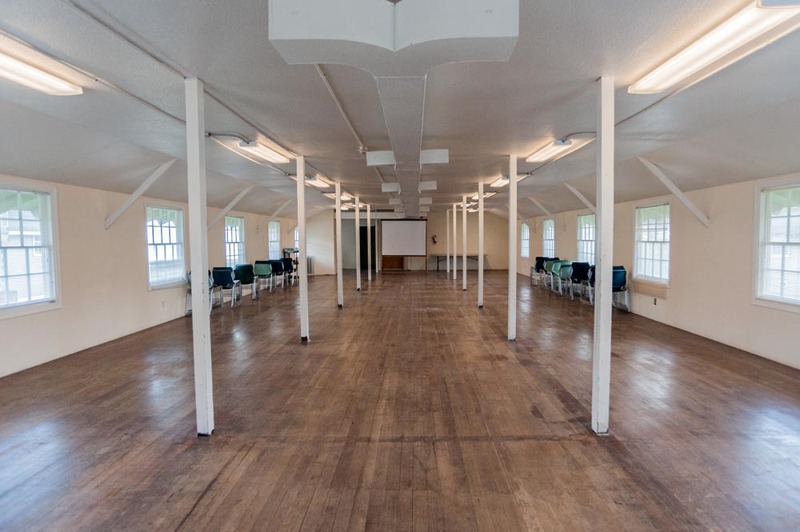 A two-story meeting and craft space is designed for groups, capacity 120. 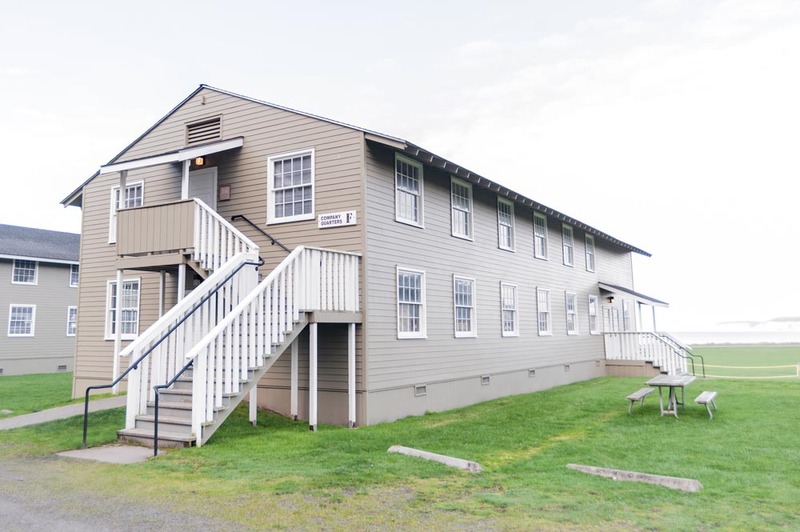 Centrally located in a row of wooden barracks. The lower level has the original wood floor with two tables, and chairs to seat 50. The upper floor is an open space with columns throughout for support. It is ideal as a classroom or meeting space with capacity seating of 120. Stacking chairs and two tables line each wall. Portable projection equipment is available for rent on either level. Company Quarters F has one bathroom on the lower floor. A stairway from the upper floor leads directly to this bathroom to allow easy access from either space. Both floors can be rented separately.